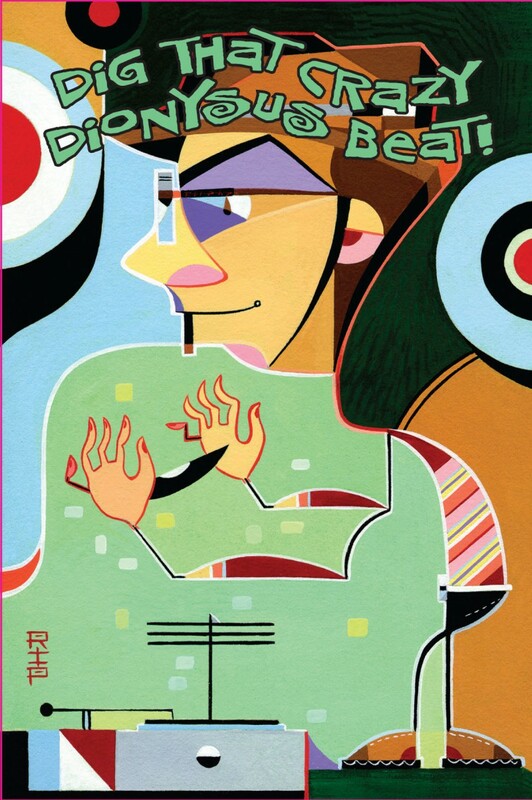 on August 30, DJ Lee will be bringing a pile of soul, garage, freakbeat and more to The OffBeat bar on York in Highland Park, CA from 9:30 on. No Cover in a total mid-century style bar with a lot of room! Lots of Dionysus Records action is happening at Tiki Oasis 14: “Beat Tiki”! 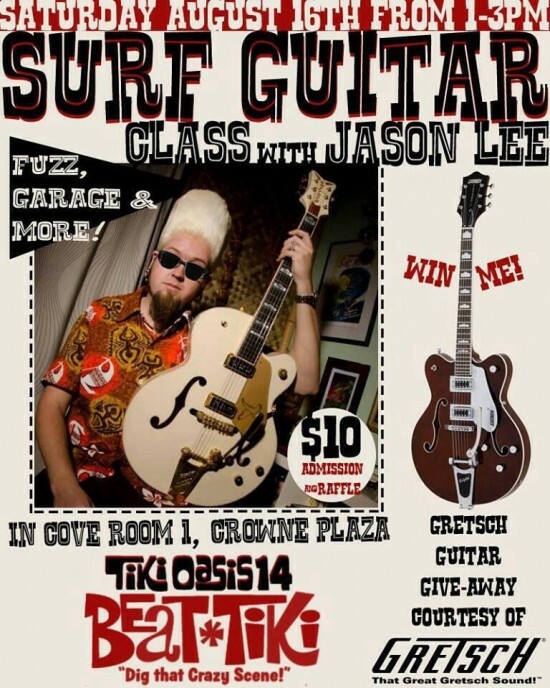 Sunday, August 17:, Jason Lee and the R.I.P. Tides play poolside from 3-3:45PM. For a full schedule of ALL Tiki Oasis activity, go to www.tikioasis.com – hope to see you there! 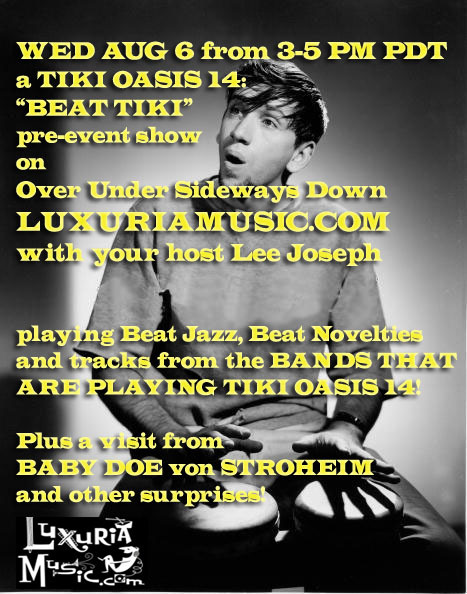 Join me on LuxuriaMusic.com from 3-5 PM PDT today for a special Tiki Oasis 14: “Beat Tiki” pre-show featuring beat jazz, beat novelties, bands playing the event, a visit from Baby Doe and other surprises! 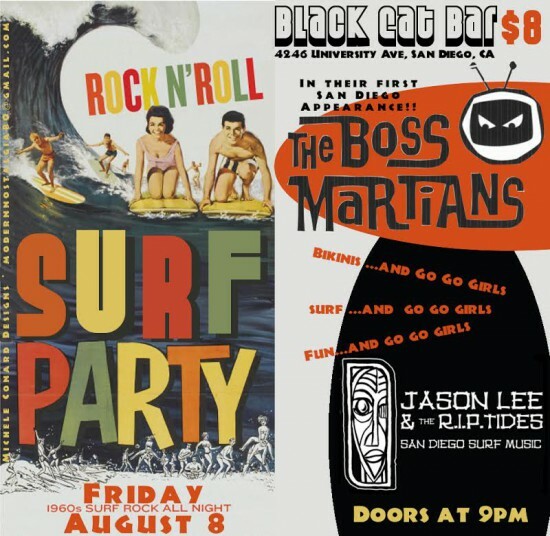 It’s a Rock ‘n’ Roll Surf Party!